Need a plumber Naremburn residents can rely on? You need Plumber To The Rescue! Licensed, qualified, and with over 30+ years of experience in all repairs and maintenance, we’re trusted throughout the Lower North Shore for on-time service and reliable repairs. Don’t wait: call the experts today on 1800 620 227 for immediate assistance! When they need plumbers Naremburn locals know to turn to our team. Fully qualified and certified for all works, we’ve got expert technicians available 24/7, 365 days of the year. On-time service means you’re not waiting for a repair – we’re always close by always ready to rescue you! Call Plumber To The Rescue today for service you can trust. Call us on 1800 620 227 – we repair what your husband “fixed”! For over 30 years we’ve provided expert plumbing services Naremburn wide. Whether you’ve got blocked drains or hot water woes, we can help, with on-time repairs and trusted workmanship. Known for our 100% guarantee offer, we’re local legends. When your drain blocks, don’t reach for the plunger, reach for the phone. Because we can offer 24/7 service, you’re never stuck waiting in an emergency. And, with technicians available 365 days of the year, you can rely on our team to be there when you need them. Don’t want a late, tardy tradie? Call Plumber To The Rescue for on-time service, every time. With GPS tracking on each of our fully stocked vans, we can pinpoint the closest technician to your location and get them to your property ASAP. The plumbers Naremburn trusts, our team of experts are always close by, always ready to rescue you! Because we’ve offered plumbing services in Naremburn for over 30 years, we can truly say we’re local experts. With our 100% workmanship Peace of Mind guarantee, we’ve tailored our service to what locals want: we’ll get your repair right, first time, or we’ll be back to fix it free of charge. Our team are professionals, and backed with this iron-clad guarantee, there’s no better choice for service you can trust. Call Plumber To The Rescue today on 1800 620 227. We repair what your husband “fixed”! It’s all about reliability for us. When we quote a job, we do so after investigating the works so that we can provide the most accurate price – and because we charge by the job, not the hour, you’ll always get an economical solution. You’ll only be paying for the work that’s done, and not the time it takes to do it! We’re experts in all repairs, maintenance and installations. From blocked drains to hot water, through to all kinds of niggling tap problems, as well as drain relines and drain dig up replacements – we can do it all. Our fantastic customer service team will handle your job from start to finish, so it will all be smooth sailing. We’ll be in communication, clear and honest, from the moment you call us on 1800 620 227 till it comes time to settle the bill. You’ll be working with experts start to finish of your job. So don’t wait. If you want service with a difference, book with the experts. When Naremburn residents need plumbing help, they know who to turn to: Plumber To The Rescue! Call today on 1800 620 227 for service and repairs you can trust. We’re always close by, always ready to rescue you! Neighbouring the Royal North Shore hospital and straddling the Warringah Freeway, Naremburn is a small suburb on the Lower North Shore. 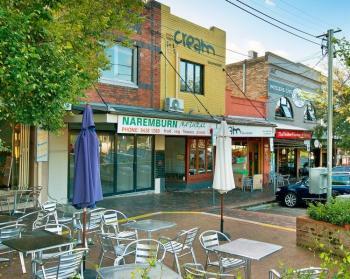 Only six kilometres north of the Sydney central business district, Naremburn is part of the Willoughby administrative zone, and has a large multicultural population, with nearly 40% of residents born overseas. A beautiful place to live, with easy access to the city via both public transport and roads, Naremburn’s commercial centre is only ten minutes’ walk from the more populous (and better known) Crows Nest. An aspirational suburb, many Sydneysiders dream about settling down in the area. Don’t wait. If plumbing problems in Naremburn are interrupting your life, call the plumber Naremburn trusts on 1800 620 227. Call Plumber To The Rescue for on-time, trusted, reliabel service today!